This past week was full of hype about emerging 3D technology as ESPN launched its ESPN 3D network last Friday with the opening of the 2010 FIFA World Cup match between South Africa and Mexico. But, not everyone will be able to view the 25 planned matches in 3D. According to CEA less than 1-million households are actually capable of viewing the three-dimensional broadcasts. Not only do you need a 3D TV but you also need a service provider who will be broadcasting the matches – DirecTV and Comcast announced carriage early on, while AT&T announced they would carry ESPN 3D just a few days before the launch on Friday. Market research firm iSuppli says only about 4% of the HDTVs shipped in the first quarter of 2010 have been 3D TVs. But, they expect that over 4 million sets will ship worldwide this year. 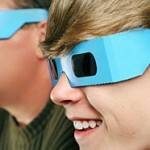 Optimistic analysts say 3D will take over quicker than HDTV. Panasonic and Sony have both recently released their consumer 3D models, but Samsung leads the sales of 3D televisions – currently owning approximately 90% of the market. Excluding high prices, another obstacle which could keep 3D from rapid consumer saturation is a lack of a standard for the technology. Possibly reminiscent of the Blu-ray vs. HD DVD war, every 3D manufacturer has a different technology and requires different 3D glasses. The glasses are also expensive – Panasonic’s running $150 per pair (and most 3D TVs only include one pair with TV purchase…lame…although Sony’s new 3D sets will ship with two). In other 3D news, Sony, Discovery, and IMAX have joined forces to create a 24-hour 3D service that will combine movies, documentaries, and kids shows. Rumor is the partners have hired Discovery Channel’s chief operating officer and executive VP Tom Cosgrove to run the venture. Multichannel News reports WealthTV’s president Charles Herring is developing 3D content, at least 50 hours of it, in preparation for a take off of the format. “When I first saw HD, I felt like I could actually smell the ocean,” Herring said. But the network doesn’t really know what they will do with the 3D content yet. Potential avenues for distribution include VOD or dedicated 3D channels. On the gaming front Sony released the first 3D capable games on the PlayStation Network: Wipeout HD, Super Stardust HD, Pain, and the Motorstorm: Pacific demo, may change the way we judge a videogame’s realism. Toshiba will ship a 3D-capable laptop in Japan next month, which pushes 60Hz to each eye (120Hz total) — taking 3D gaming and movie viewing to your personal computer. 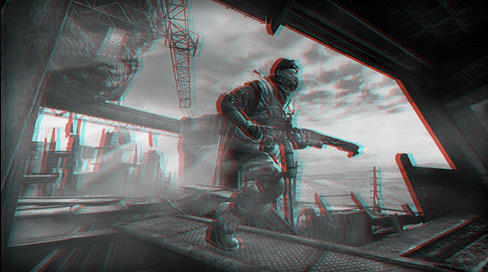 Oh, and lets not forget all the hype about Killzone 3 in 3D, expected to launch March 2011. Finally, reviews about the FIFA World Cup in 3D have been mixed. Some have had high expectations while others thought it was revolutionary. Time Magazine’s Sean Gregory gave a critical but optimistic review of the opening South Africa vs. Mexico game. While he thought the closeups were the best shots, he didn’t think the 3D element added any drama to the game and wasn’t worth the price. The price of 3D is high for sure, and this was ESPN’s first stab at connecting an unfamiliar format with an unfamiliar audience (and, let’s face it, a U.S. audience that is not overwhelmingly fanatical about soccer). But with 3D broadcasts of NFL, NHL, MLB and NBA games in the future, sports may be the driving force for the new technology much like the way football pushed consumers to buy HDTVs for Superbowl Sunday. 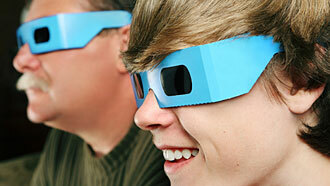 For all the latest 3D TV news visit our dedicated 3D category. Next Next post: Blu-ray Picks of the Week for June 15th.